GREAT PRICE!! Includes TWO CORNER lots!! This fantastic ACRE property offers 43,750 square feet of land all together. What an opportunity to own land and build your dream custom pool home with plenty of room to bring your outdoor sports toys too!! 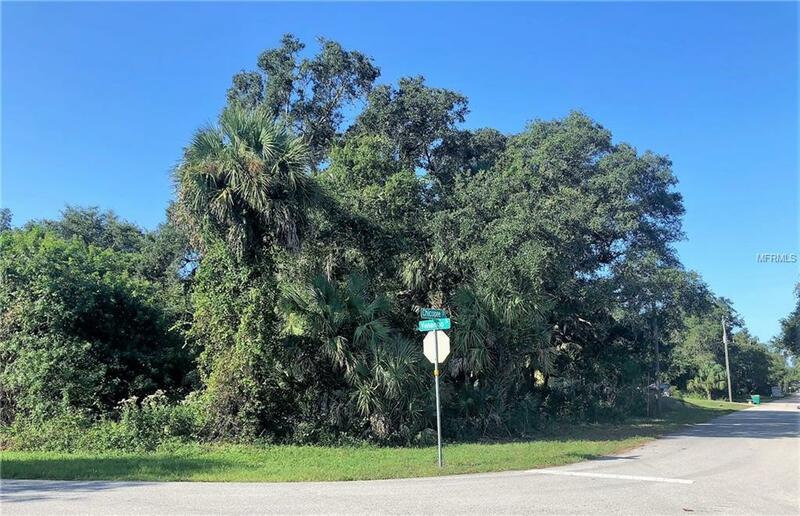 Right in the heart of it all...these vacant land properties are located near growing area of North Port but yet in Charlotte County! Electricity on site on Chicopee parcel. Per county's website these properties are not on Flood Zone or Scrub Jay area. Conveniently located near all amenities; restaurants, shopping centers, supermarkets, hospitals and much more. Outstanding downtown Punta Gorda is only a few minutes away where you can enjoy waterfront dinning, marinas, waterfront parks, fishing & great entertainment. Boca Grande & Englewood Beaches, Little Gasparilla Island & Famous Cabbage Key are all within reasonable time to reach. Taxes currently reflect approximately $1008.00 for one parcel of 3 lots and $324.00 for the parcel of 1 lot. Buyer is to verify all information & dimensions pertaining to this property. Search no further! Take a look at this property today and enjoy Florida at its best!